The last thing anyone wants in the middle of the holiday season is to have an HVAC system breakdown that leaves them in the cold and requires costly emergency heating repairs. There’s a good way to avoid most unexpected HVAC mishaps in your Sacramento area, California, home. Preventive maintenance is a smart policy for many things, including your car and even your health, and it’s an excellent safeguard against inconvenient heating system breakdowns, too. Stay ahead of expensive repairs with proactive HVAC system checkups, during which potentially major problems can be nipped in the bud at a lower cost than emergency calls. Professionals will replace worn parts before they break, clean and lubricate all parts and tighten bolts for optimal performance. In addition, they’ll calibrate your thermostat correctly, eliminating the need for constant adjustments that can overwork your system. 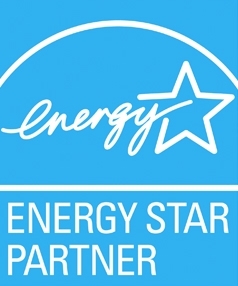 With regular service, your system stays in peak performing condition for energy efficiency. The more smoothly your system is running, the fewer demands are made on it so the longer it will last. Efficiency means more energy is produced using less fuel, and that translates into a higher level of comfort and lower utility bills for you. Avoid expensive and unnecessary system breakdowns and ensure your heating and cooling systems are running as efficiently as possible over the holidays and all year long. The courteous and knowledgeable technicians at California Energy Services are experienced in repairs for all types of heating systems. Ask us about our preventive maintenance plans, which include two seasonal 30-point tune-ups: one for your AC in the spring and one for your heater in the fall, for only $159. Don’t risk a heating system breakdown this winter. Contact us or call (916) 737-1107 to sign up for your maintenance plan and schedule a maintenance visit today. Older PostShould You Get Replacement or New Construction Windows?